Consciousness is a tool and these books by Harry Palmer will show you how to use it. Learning to use your consciousness deliberately is the most rewarding ability you’ll ever develop. 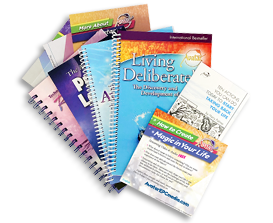 The PowerUp Plus Pack includes all items in the Power Package plus Harry’s two newest books, The Avatar Path: The Way We Came and The Avatar Path 2: Private Lessons. 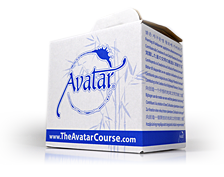 The Avatar Power Package includes: the two internationally best selling books, Living Deliberately: The Discovery and Development of Avatar, ReSurfacing®: Techniques for Exploring Consciousness, the Ten Actions booklet, the Home Study Checklist, a link to stream Avatar audio and video and information about how you can improve your life with The Avatar Course. If you are not completely satisfied, you may return the four books for a full refund and keep the rest as our gifts to you. "Have you ever thought about the subject of consciousness? Where would the universe be without consciousness? If you began eliminating things from the universe—suns, planets, spaces, energies—the last thing you would eliminate would be consciousness! Could you even eliminate consciousness? Who, or what, would know if you did? Have you ever been curious, or maybe even concerned, about the momentary experience of some unexpected or unusual mental ability or extra-normal state of consciousness? Maybe you were more than curious; maybe you sought to experience the mysterious state a second time. Our religious faiths, and more recently our sciences, abound with references to extraordinary consciousness phenomena: enlightenment, turning point experience, holographic consciousness, quantum transformation, cosmic awareness, bliss, nirvana, samadhi, grace, universal harmony, spontaneous healing, alpha rhythms, heavenly rapture, OBE (out-of-body experience), ESP (extrasensory perception), levitation, the glory of redemption, the peace of salvation, satori, godhead, Christ consciousness—and this is only a small sampling. The growing list confirms that more and more people are encountering phenomena that do not fit with their normal waking moments. Is something going on with consciousness? Is it experiencing its own evolution? A cosmic awakening? Extraordinary consciousness phenomena occur spontaneously and do not always fit simple cause-and-effect explanations. People are unsure how to describe nonphysical events. Most of the terminology tends to be esoteric or vaguely fluid in meaning. Comparisons and categorizations are closer to art or analogy than to science. And just when an understanding seems imminent, the event, like a rapidly forgotten dream, fades into a haze of doubt. For a moment there was something unusual...wasn’t there? Word descriptions are a pale substitute for the real thing. Instructions or practices that attempt to re-create the phenomena usually condense to some sort of backward be-do-have ritual that says, “Have faith, do this over and over, and maybe something might happen that you could describe as....” Unfortunately the universe does not work backward and the only result, from such rituals, are self-degradation, hypocrisy and pretense. So people learn to live with the uncertain memory of a few moments, hours, or days of an extraordinary experience for which the cause is unknown: a euphoric moment of love, an omnipotent moment of invulnerability, an omniscient moment of crystal clarity, a moment of grace, a moment of premonition, a moment so real that the rest of life seems dreamlike. How can one recover these moments? What combination of thought and event will create them? This is a quest into the quintessential realm of consciousness. The prize is beyond any amount of fame, wealth, or power. Extraordinary moments! Awe-full moments! Experiences that cast even life and death in minor perspective! They leave unexplained magic moments and hint of a thread which, were we able to pull it, might utterly unravel and redefine what we are and what we are becoming. For some, the demands and desires of life erode such moments into forgetfulness, and they escape back into the safety of plain vanilla reality: paychecks and bills. Probably by now, they will have laid this book aside and continued with the struggle they call their lives. But you still read. For you, a nine-to-five life, while maybe necessary, is not an answer. You’re on some sort of quest. Are there some fascinating memories hovering near the edge of your imagination? Would you like to have one more look?" English, Chinese (Simplified and Traditional), French, Hebrew, Italian, Japanese, and Spanish. You can select the language in the shopping cart. Please note: The How To Create Magic audio CD is available in English only. Bulk pricing is available for the PowerUp-Plus packs.